Montana Rooster Sauce is a Sriracha stlye sauce that is very similar to the traditional recipe from Si Racha Thailand, but with an American twist. This a sweet tangy garlic pepper sauce that will spice up any dish. Red Fresno and Habanero bring a great pepper flavor with a mild 4/10 heat rating. 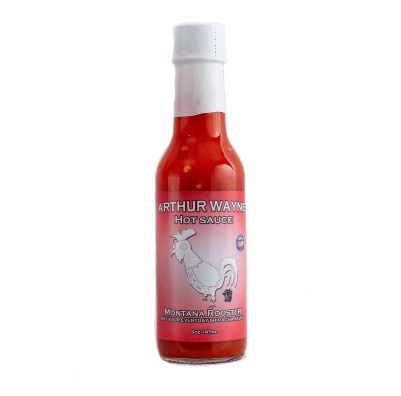 An All-Natural Sriracha style hot sauce that is a must have for any Sriracha lover. Our sauce will not burn your face off, but will bring the right amount of heat to the table... Enjoy!